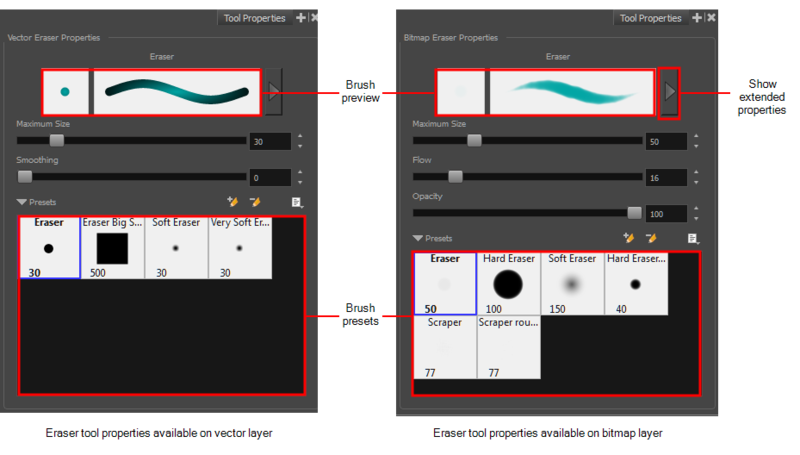 For tasks related to this tool, see About the Eraser Tool and Erasing. In the Tools toolbar, click the Eraser button. On bitmap layers, lets you set the rate at which colour flows when drawing. On bitmap layers, lets you set the transparency of strokes.